Provocative, revelatory and stunningly beautiful, this third major film from celebrated young Quebecois director Xavier Dolan garnered two awards at the Cannes’ 2012 festival and received huge acclaim from critics and public alike. Shot in the Full Frame aspect ratio and featuring a dazzling ’80s soundtrack, Laurence Anyways stars actor-musician Melvil Poupaud as Laurence, Suzanne Clément as Fred and Nathalie Baye as Laurence’s sad, world-weary mother, Julienne. 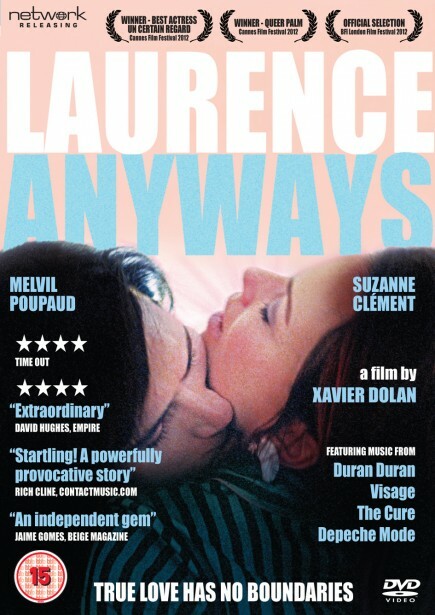 Flying in the face of fear and prejudice, Laurence tells his girlfriend Fred that he wants to become a woman. In spite of the odds, and in spite of each other, for ten years they confront the contempt and bigotry of their friends, ignore the counsel of their families, and brave the phobias of the society they offend - but will this stand cost Fred and Laurence both themselves and each other?